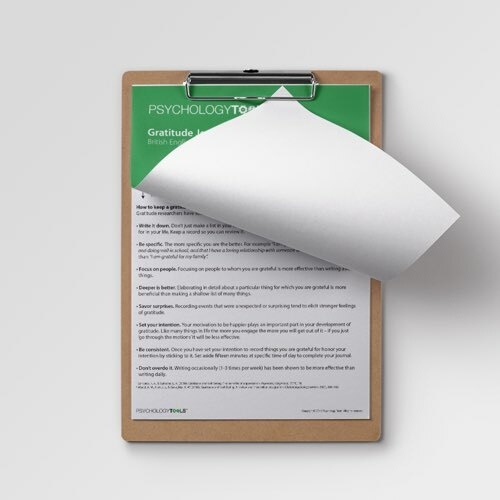 Cultivating gratitude is an evidence-based positive psychology technique. 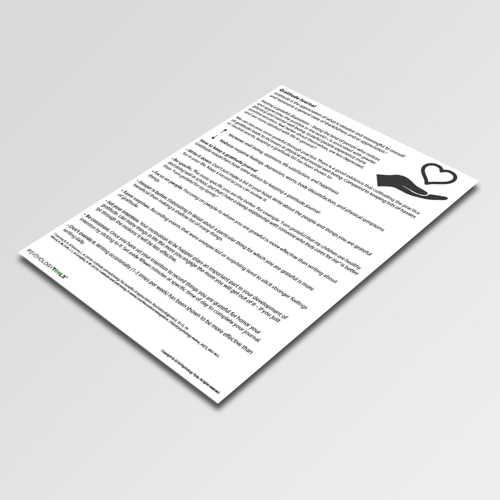 This information handout describes reasons to cultivate a grateful attitude, and helpful practical steps in developing a gratitude practice. Gratitude has been described as “the appreciation of what is valuable and meaningful to oneself and represents a general state of thankfulness and/or appreciation” (Sansone & Sanson, 2010). Conceptually gratitude has been viewed as an emotion which occurs after receiving assistance, or as a dispositional “orientation towards noticing the positive in the world” (Wood et al, 2010). 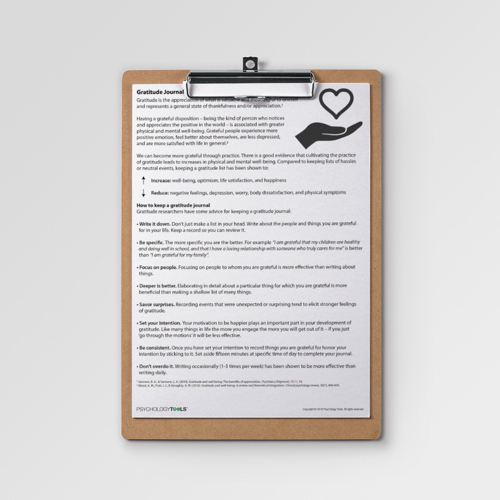 This dispositional or trait gratitude is positively associated with a number of measures of well-being and there is evidence that it is possible to increase gratitude through practice – with associated increases in well-being. 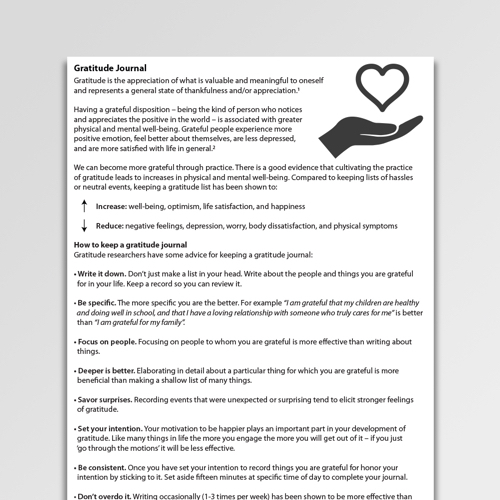 The Gratitude Journal is a positive psychology worksheet. 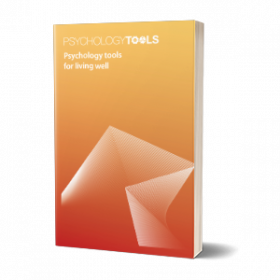 It describes the concept of gratitude, briefly reports research findings supporting its beneficial associations, and provides recommendations to aid in the completion of a gratitude journal / gratitude list. Froh, J. J., Sefick, W. J., & Emmons, R. A. (2008). Counting blessings in early adolescents: An experimental study of gratitude and subjective well-being. Journal of school psychology, 46(2), 213-233. Sansone, R. A., & Sansone, L. A. (2010). Gratitude and well being: The benefits of appreciation. Psychiatry (Edgmont), 7(11), 18. Sheldon, K. M., & Lyubomirsky, S. (2006). How to increase and sustain positive emotion: The effects of expressing gratitude and visualizing best possible selves. The Journal of Positive Psychology, 1(2), 73-82.